UAE. 2012. 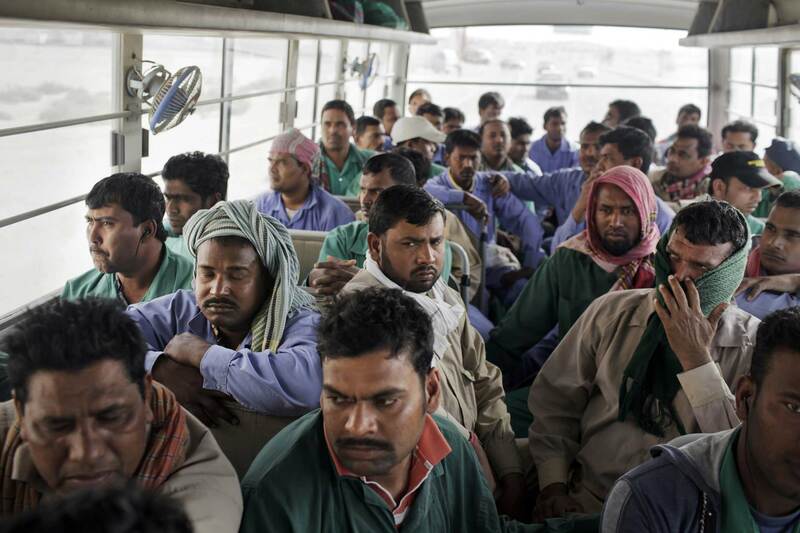 Dubai Tired South Asian workers on the company bus that takes them back from the construction site to their lodgings at a labor camp outside the city. Workers often go to work at dawn, only to return after sunset.